Russian MMA heavyweight Sergei Kharitonov got off to a disastrous start in his Bellator career, suffering a 16-second knockout against Javy Ayala on Friday. With victories over Fabricio Werdum, Alistair Overeem, and Andrei Arlovski on his record, the 36-year-old Kharitonov has mixed it with the best during his career, but he looked a shadow of his former self against the US fighter. The 36-year-old’s debut, which was originally planned for the summer, had been delayed due to a virus he picked up while training in the US, but the ‘Russian Mercenary’ was still expected to overcome Ayala. Ayala’s devastating overhand right made a mockery of Kharitonov’s prediction that he would make a big impression in the heavyweight division. 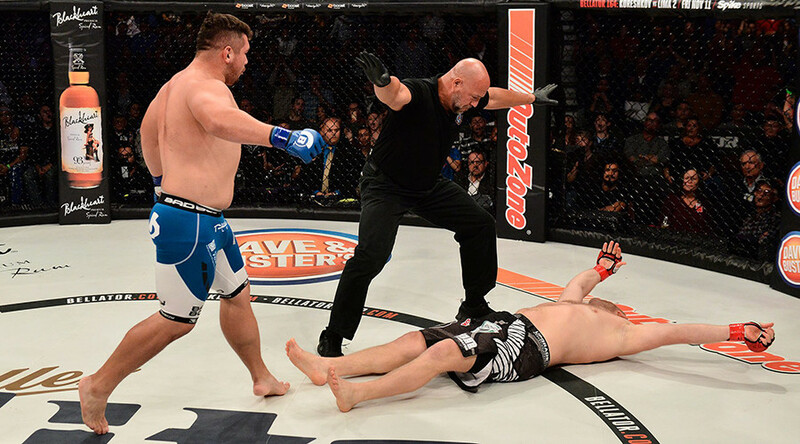 The result was the fastest-ever knockout in Bellator history. “I missed that punch, that happens sometimes. It’s a heavyweight (division), every punch can be decisive. I will learn that lesson and will keep moving,” said Kharitonov after the fight, TASS reported. “That was a lucky punch,” added the fighter. Elsewhere on the card, former UFC light heavyweight contender Phil Davis won the Bellator title courtesy of a unanimous points victory over Liam McGeary. Davis’ superior wrestling skills were too much for McGeary to handle in his second defense of the belt he’d won by defeating Emanuel Newton. Rising Brazilian star Neiman Gracie maintained his unbeaten Bellator record with an impressive submission win against Rudy Bears. Gracie dominated from start to finish and ended the contest after 4:39 with a brutal armbar.